With the weather cooperating so nicely, it seems a little wrong to talk about a book called Blizzard, but . . . it's coming, folks. And from what I've heard, this winter is going to be a doozy. 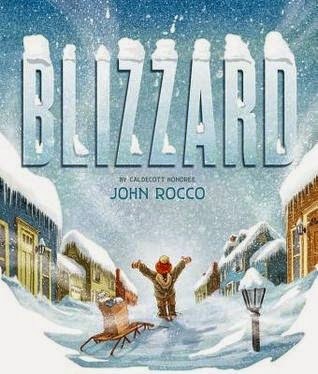 I liked John Rocco's popular Blackout (it won a Caldecott Honor in 2012), but I loved Blizzard. I remember another time when the blizzard came on a Sunday, so we couldn't go to church. Instead, we put on our snow clothes and walked a block away to our adopted grandma's house. I can still remember what it felt like to push against the whipping snow and what a contrast it was to enter her warm, cozy house and feel the plush (peach) carpet under our numb toes. But you don't have to have survived your own blizzard to enjoy this book. 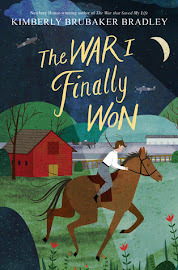 The illustrations are enough to make you feel like you're experiencing it right along with John Rocco and his family: from the stop sign nearly covered in snow (along with the complementary words, ". . . and I thought it would never stop") to the fold-out page of his route to the store to the gorgeous sunset on his return trip home. So for now, go out and enjoy the last beautiful days of autumn. 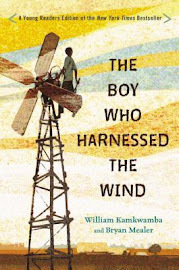 And then, when the snow and wind and the cold comes, comfort yourself with this delightful book. P.S. For more snowy reads, check out this post or this one. P.S. Many thanks to Disney-Hyperion for a review copy of this book. All opinions (and blizzard memories) are my own! 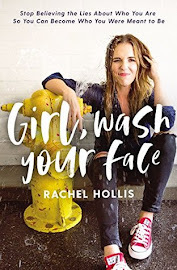 Oh, I must get this book. I was 10 during the blizzard of 78, and remember it well. I can't say I miss the snow myself, but a visit via picture book? That I can manage. Thanks for the review!